Born: 5 November 1876, Birmingham, United Kingdom. Died: 26 October 1937, Montreal, Canada. Harold Benjamin Fantham, zoologist, studied at Christ's College, University of Cambridge, where he won the Darwin research prize and obtained the degree Master of Arts (MA). He continued his studies in zoology at the Royal College of Science in London, where he was appointed as an associate in zoology and chemistry. At University College, London, he won a gold medal for his work in zoology, became the Derby research scholar, and was awarded the degree Doctor of Science (DSc). He was also elected a Fellow of the college. From 1904 he taught zoology at the St Mary's Hospital Medical School, University College, the University of Cambridge, and the Liverpool School of Tropical Medicine. He was particularly interested in parasitology and while in London conducted research in protozoology, particularly on the Haplosporidia and Spirochaetae found in molluscs. In 1910, at the Liverpool School of Tropical Medicine, he and Professor J.W.W. Stephens isolated a new and more virulent trypanosome from the blood of a patient suffering from African sleeping sickness. They named it Trypanosoma rhodesiense. He was elected a Fellow of the Zoological Society of London, the Cambridge Philosophical Society, the Royal Society of Tropical Medicine and Hygiene, the Royal Society of Medicine, and the Eugenics Society of London, and was for some time vice-president of the Eugenics Research Association. During World War I (1914-1918) Fantham served as a parasitologist in Khartoum (now Al-Khartum, Sudan), working on parasitic diseases among the British troops. Subsequently he served in Malta and Macedonia, but was invalided to Britain with amoebic dysentery. In 1915 he married parasitologist Annie Porter*, but they had no children. Before they were married they wrote a popular book, Some minute animal parasites (London, 1914). Two years later he, with J.W.W. Stephens and F.V. Theobald, published The animal parasites of man (London, 1916, 900 p.), which was partly adapted from the fourth edition of Die tierschen parasiten des menschen (1908) by M. Braun. In 1917 Fantham was appointed professor and head of the newly created Department of Zoology and Comparative Anatomy at the South African School of Mines and Technology in Johannesburg. This institution soon developed into the University College, Johannesburg (1919) and a few years later became the University of the Witwatersrand (1922). Fantham held his post until 1932 and his department soon became known for its scholarship and research. He was an outstanding scholar, researcher and research leader, although rather difficult as a person. He was also an able administrator and from 1923 to 1926 served as dean of the university's Faculty of Science. Outside the university he acted as honorary parasitologist at the South African Institute for Medical Research for many years. In his research Fantham specialised on the protozoa, conducting surveys of the parasitic protozoa and soil protozoa of South Africa. This work gave him an international reputation as a protozoologist and parasitologist. In a series of fifteen papers, published during 1918 to 1932 in the South African Journal of Science, he described "Some parasitic protozoa found in South Africa". His specimens were found mainly in the gut of various snakes and wood-eating termites. Another series of ten papers dealt with the protozoa found in South African soils. He investigated hundreds of soil samples from all over southern Africa and found well over a hundred species. His co-authors for some of the latter series of papers included students and colleagues Ester Taylor, Nellie F. Paterson, J.F.M. Schuurman, and Katherine G. Robertson. Both projects were summarised in papers that Fantham read at the joint meetings of the South African and British Associations for the Advancement of Science, held in South Africa in 1929. Fantham was a founder member of the South African Biological Society in 1917, serving as its president for 1921 and 1922. He also became a member of the South African Geographical Society in 1917, delivered some lectures to its members, served as its president for 1920/1, as joint vice-president until 1932, and as editor of the South African Geographical Journal during 1921-1922. He joined the South African Association for the Advancement of Science, also in 1917, was president of its Section D (which included zoology and eugenics) in 1921, and president of the association as a whole for 1926/7. For a number of years he was honorary editor of publications and was largely responsible for raising the standard of the South African Journal of Science and increasing its circulation. In 1931 he was awarded the association's South Africa medal (gold) in recognition of his substantial contributions to zoology. The next year he was elected a Fellow of the Royal Society of South Africa, having already acted twice as vice-president. 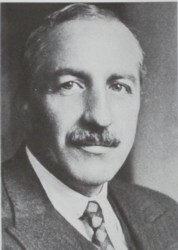 Fantham resigned from his post at the end of 1932 to accept an appointment as Strathcona professor of zoology at McGill University in Montreal, Canada, from January 1933. His research efforts there were mainly in fresh-water biology and ecology, though he also continued his research in protozoology and eugenics. In addition to his flair for research he had considerable talents as an artist and musician. He died in Montreal of septicaemia. Shortly before his death he finished his last research paper in which he described a new species of trematode parasite of the Hottentot fish found in South African waters. The paper was published posthumously in the Transactions of the Royal Society of South Africa (1938). British Association for the Advancement of Science. South Africa, 1929. Journal of scientific transactions. London: BA, 1929. (Summary of papers by Fantham). Gear, J.H.S. African sleeping sickness, African trypanosomiasis. The story of its conquest. Adler Museum Bulletin, 1986, Vol. 12(1), pp. 3-10. Journal of the South African Biological Society, 1970, Vol. 10, pp. 52-53, Presidents of the South African Biological Society. Murray, B.K. Wits, the early years. A history of the University of the Witwatersrand, Johannesburg, and its precursors, 1896-1939. Johannesburg: Witwatersrand University Press, 1982. Obituary: Harold Benjamin Fantham. Transactions of the Royal Society of South Africa, 1942, Vol. 29, p.xxiv. Obituary: Professor Harold Benjamin Fantham. South African Journal of Science, 1938, Vol. 35, pp. xviii-xix. South African Geographical Journal, 1917, Vol. 1(1) to 1932, Vol. 14: Various items on the members, office bearers, lectures and papers of the South African Geographical Society. South African Institute for Medical Research. Annual Report, 1919, 1926. South African Journal of Natural History, 1919, Vol. 1 to 1930, Vol. 6: Various items on the members, office bearers and papers of the South African Biological Society. South African Journal of Science, 1917, Vol. 14 to 1937, Vol. 34: Papers by Fantham and various items relating to members, office bearers and awards of the South African Association for the Advancement of Science. South African who's who, 1923/4, 1927/8, 1931/2, 1936. Transactions of the Royal Society of South Africa, 1938, Vol. 26, paper by Fantham. Who was who, Vol. 3, 2nd ed., 1967. London: Adam & Black.